Two high-tech manufacturers are in talks over building factories in Sheffield creating hundreds of jobs, The Star can reveal. Negotiations are at a ‘critical’ phase between University of Sheffield chiefs and an international automotive company and aerospace firm. It is hoped they will build factories in the emerging Advanced Manufacturing Innovation District, centred on Catcliffe, to take advantage of a growing cluster of university research and training centres and 100 hi-tech firms. University vice chancellor Sir Keith Burnett said: “Negotiations are at a critical phase with an aerospace manufacturer and an automotive company. “To attract them you need buildings that are sufficiently flash that people want to co-locate there and a well trained workforce to serve them. “You have got to have a real capability and make things that make money. “Our vision is a place like Singapore with very strong institutional structures, provided by the university, and a long term plan for research and development. 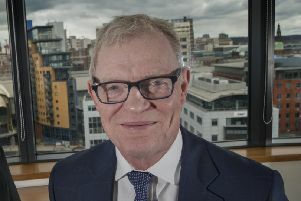 Sir Keith is chair of the Science and Innovation board on Sheffield City Region Local Enterprise Partnership, which has negotiated a £1.3 billion devolution deal with government. The university already works on research projects with dozens of companies including Boeing, Rolls Royce and BAE Systems at its Advanced Manufacturing Research Centre on the site of the former Orgreave coking works.